Official news has been received this week that Pte. Walter Rushton, 32874, of the King's Own Royal Lancaster's, is presumed to have been killed on April 11th, 1917. At the time of his enlistment the deceased soldier lived at 11, Camp-street, Burnley, but his parents now reside at 13, Saxifield-street, Harle Syke. Pte. 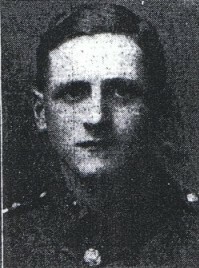 Rushton, who was 21 years of age, joined up in February, 1916, and went out the following December. He was formerly employed as a weaver at Mason, West and Bather's mill, Harle Syke.